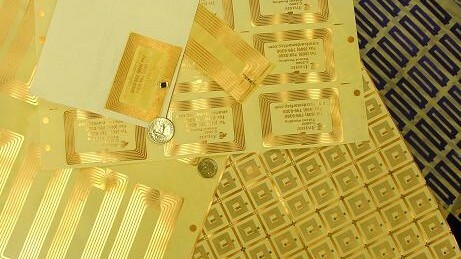 Faced with the prospect of millions of silicon-based RFID tags dumped in landfills, researchers are trying to create an environmentally-friendly tag. NCR Corp. researchers are now producing passive RFID tags inlaid on a roll of paper. 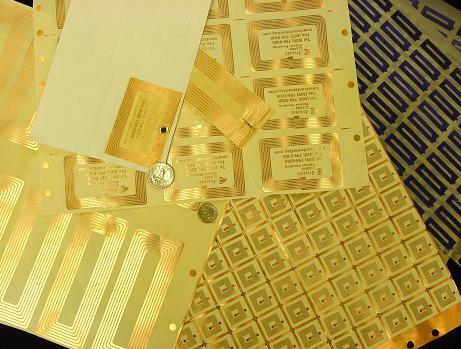 They are experimenting with what kinds of conductive inks work best in printed RFID labels; what is the best process to manufacture them and what adhesives are best. But they are also paying close attention to whether organic chips can be a breakthrough technology. An organic chip is one that uses paper or plastic—some material other than silicon—to store information at a cost far less than that of current silicon-based circuits. The plastic chips are known as “organic” since, unlike conventional chips made with ammonium nitrate and heavy metals, they are biodegradable. “There is a lot of R&D with RFID tags,” says Ellen Boerger, NCR’s director of RFID, who is looking at this. A number of companies—start-ups and established firms alike—are eying organic chip developments. Venture capital firms like ITU Ventures, are placing seed investment bets on developers with patented prototypes. In Colorado Springs, a start-up called OrganicID has developed a prototype of printable, organic RFID tags. The company is working in partnership with International Paper, and has received “a sizeable seed investment” from ITU Ventures, says Klaus Dimmler, CEO of the firm. The deal with IP brings the industry “one step closer to developing a tag that will one day be incorporated into packages much more easily and efficiently than silicon tags,” says Dimmler, a University of Texas veteran and an expert in the organic electronics industry. “This will open the door for cost-efficient, item-level tracking,” he claims. The technology being developed by OrganicID is a 13.56 MHz passive tag that can accommodate data registers of eight bits, and 14 bits, thus far. These paper-based transistors are also known by the name of plastic electronics, especially if they use conductive polymers, or organic molecules on a plastic substrate, to hold and transmit data. Companies active in the plastic electronics field include 3M, AMD, Dow Chemical, Dow Corning, DuPont and others. Siemens AG and Kurz GmbH KG are also collaborating on making electronics on newsprint in Germany.